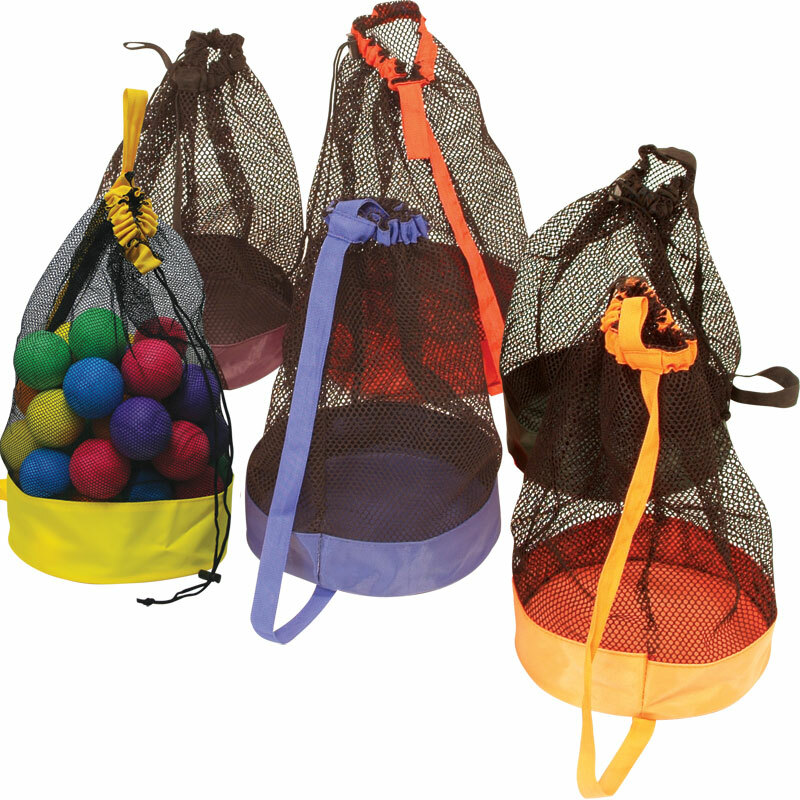 PLAYM8 ® Drawstring Bags are perfect for carrying small items such as beanbags, quoits and small rackets and balls. Made from mesh with a nylon base to allow you to see the contents of the bag. This bag has a drawstring closure along with a carry strap for carrying. One of each colour red, blue, orange, green, yellow and purple. Size: Height 53cm x 27cm diameter. 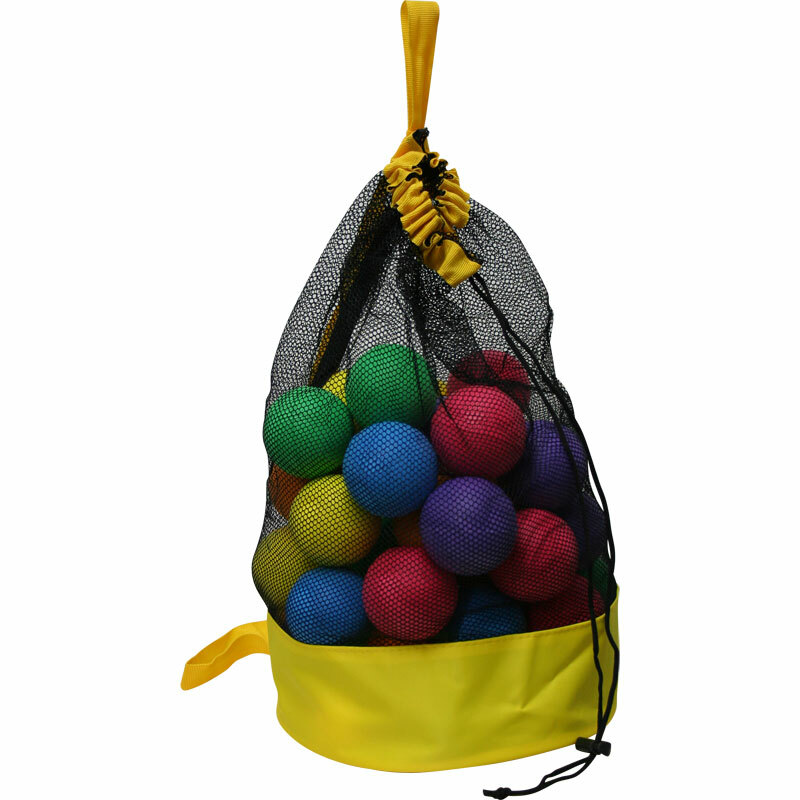 Holds 48 x 7cm balls comfortably (tennis ball size).